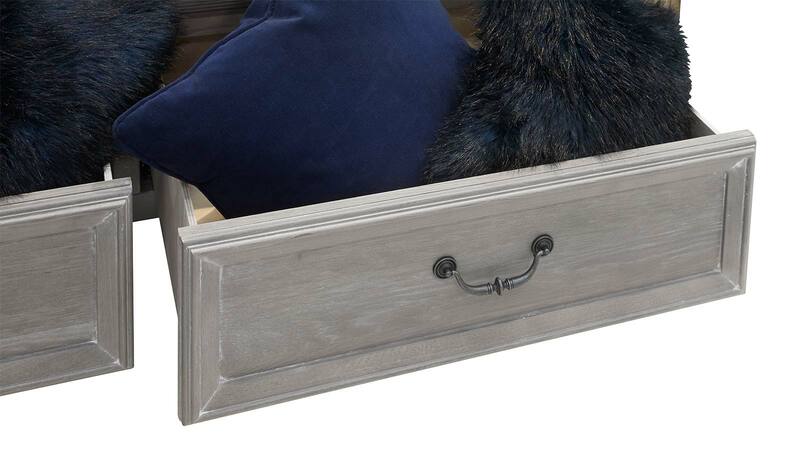 The stylish Sundown Queen Storage Bed's sophisticated gray finish will fit in with a variety of interior styles and color schemes, while carved details on the tall headboard catch the eye. No matter how many trends come and go, this bed has a timeless appeal to ensure your bedroom always remains up to date. 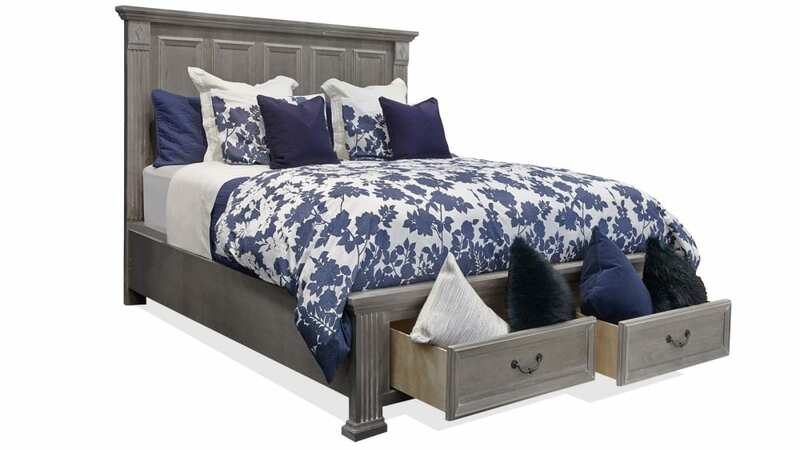 Made in America by skilled craftsmen, this beautiful bed offers quality for an affordable price. Constructed with oak solids and veneers, this bed has been scaled for Texas-sized homes. Two drawers provide the perfect place to store linens and other bedroom essentials. 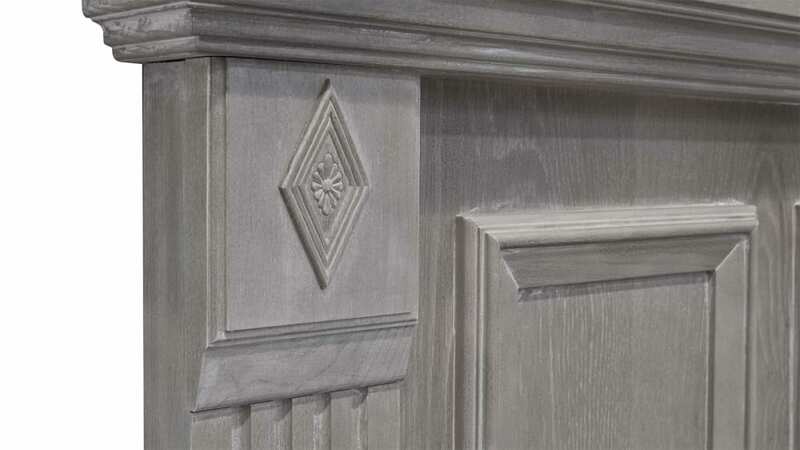 A sophisticated gray finish is paired with antique-style hardware and carved details to create a unique look.